You can use our products to migrate/copy your old single disk to/from RAID array only if this array of disks recognized as a single disk in windows (not as separate disks). 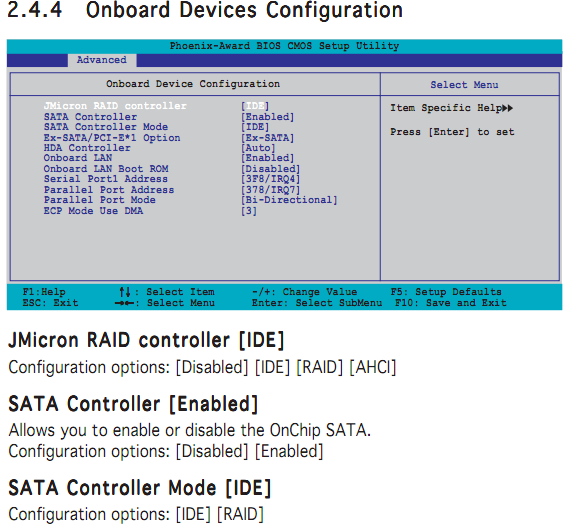 To set up RAID array you need to switch your SATA controller mode. AHCI – Advanced Host Controller Interface – this is a hardware mechanism that allows the software to communicate with Serial ATA (SATA) devices. It offers features such as hot-plugging and native command queuing (NCQ). IDE (Compatible) – Integrated Drive Electronics – IDE is the “old” version of AHCI without hot-plugging and NCQ. RAID – This is a storage technology where you combine multiple disks into a “single” unit, depending on the mode, there can be RAID-0 through RAID-6, and each with different configurations of the hard drive. I’ll just explain the simple examples: RAID-0 which is striping but no parity or mirroring, this means there is no redundancy for data, If there is a failure on one disk, it will cause the data loss of the entire RAID array. Ex: You have 0110 as data to be written, 01 will go on Disk 1, and 10 will go on Disk 2, allowing for faster read/write access to the data. Sometimes you might encounter some problems with setting up SATA controller mode or working with RAID mode. This article covers most frequent cases related SATA controller mode. Sometimes when you want to migrate/copy your system from old HDD to RAID, you might encounter this kind of problem. You connect your Disks – set SATA controller mode to RAID in BIOS – your Disks recognized as RAID but your old single disk disappears. When you go back to ACHI mode – your old disk appears, but all your RAID disks are recognized as separate disks. There are two possible solutions for this kind of problem depending on your motherboard SATA ports layout/functionality and/or your SATA controller settings in motherboard firmware. 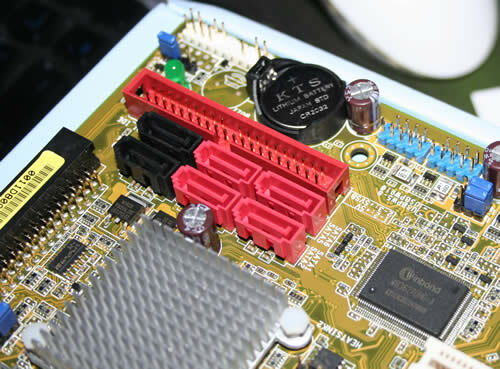 Read your motherboard user guide – on some motherboards not all SATA ports support RAID or they have different settings for some ports (2 different SATA controllers). So you can either connect your old disk to another port with no RAID mode support (usually they differ in colour ). Or, if you have two different controllers on your motherboard, you can specify in SATA controller settings what mode should be used for specific controller and then connect your RAID disks to SATA ports with RAID enabled and your old disk to SATA port with AHCI. If you have an external disk. Create a backup of your old drive and store this backup on external drive. If you have an external case for SATA disk. You can also try using PCI card with SATA controller – read this article for more details. On some motherboards, you might encounter a minor (confusing) problem. There is no AHCI mode in SATA controller settings. Nothing to fret about in this case – Just select RAID mode. This will enable RAID/AHCI mode for your SATA ports. Now when you boot – RAID settings screen appears. If you performed migration and you do not actually need to set up RAID – just skip this RAID setup screen (if there is no skip option then you’ll have to wait a little) – this will leave your SATA ports in AHCI mode.